Bleurgh! Apparently that is a word, I looked it up! It is how I feel at the moment along with being very down and lacking energy, nothing new, but feels like a hard slog at the moment. 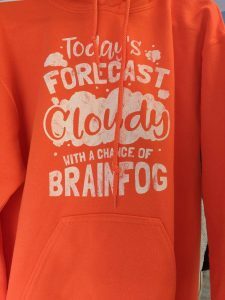 Things take so long to do and lots of mistakes are made due to Brainfog. My new jumper is very appropriate at the moment and I am wearing it today. (from Unchargeables) Well I was when I started writing 2 weeks ago, wonder how much longer it will take? 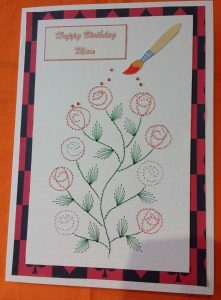 Card making, slow but sure at the moment, here are the ones I can share with you. 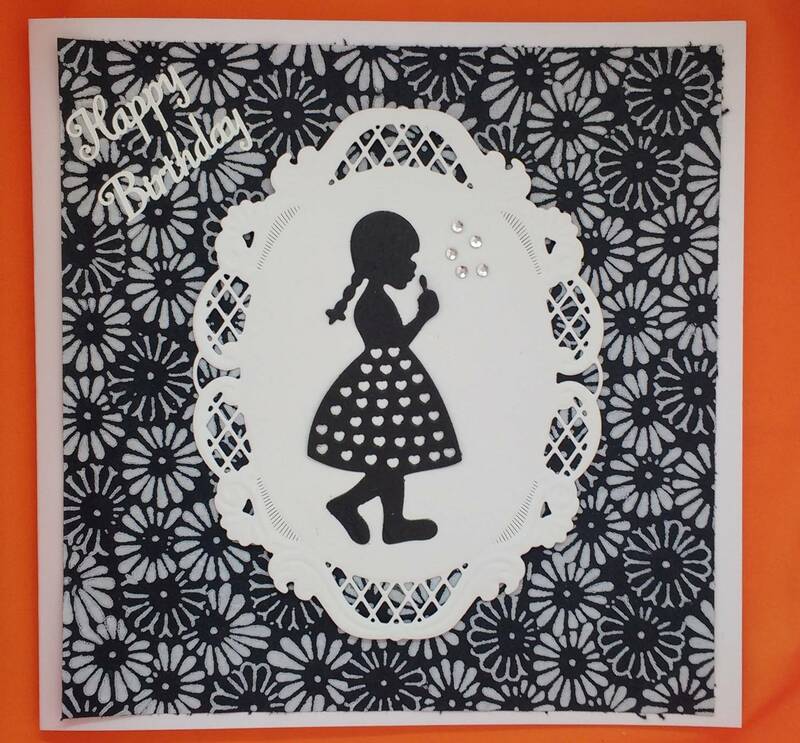 Made for a friends birthday using Tattered Lace Dog die, and Marianne Oval die (which I bought pre cut) mounted what I think is Forever Friends black and white backing paper sample. This hedgehog is cut using Sweet Dixie die. 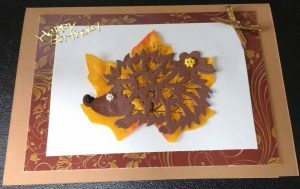 The leaf is from a pack of autumn coloured leaves from The Works. 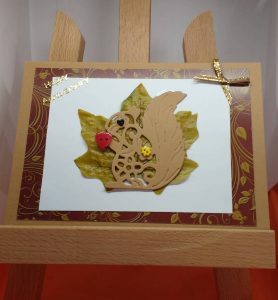 This card was made using an old Sizzix Dove die cut, the frame is Sue Wilson Springtime die. 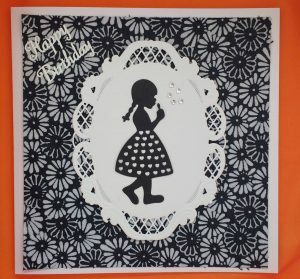 The frame is in 2 parts the back piece I stamped with shades of blue ink and the front piece left blank with a few gems added. 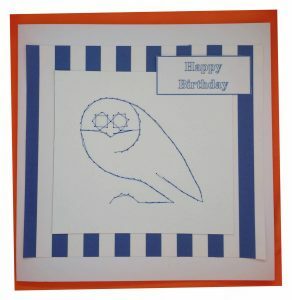 I used this for a sympathy card, but would also be suitable for birthday or baby boy in this design. I have since done one in green for a wedding anniversary, but don’t have a picture of it. 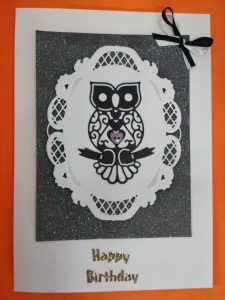 This owl is a Joanna Sheen signature die, its cut in black card, mounted on Marianne Oval die (which I bought pre cut), the sparkly card underneath is embossed with owls, (not really visible in the image) Concepts Emboss and finished of with a bow and heart shaped button. 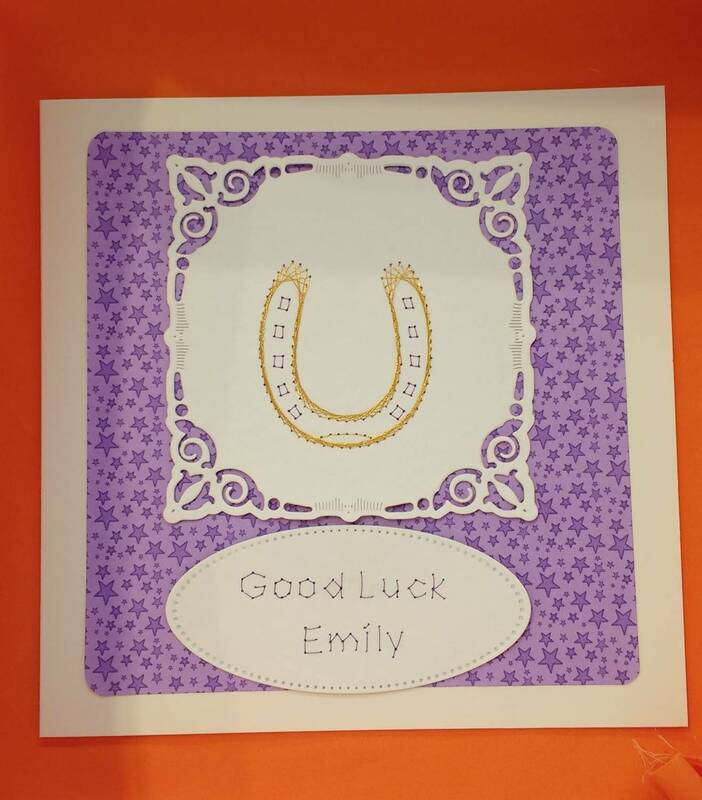 This card was made for my daughter to wish her well in her SATS . 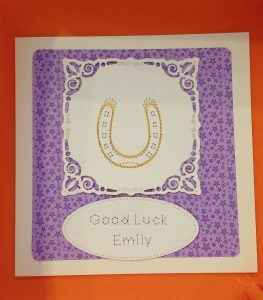 The pattern is from Form-a-Lines, stitched in gold and purple for school colours. 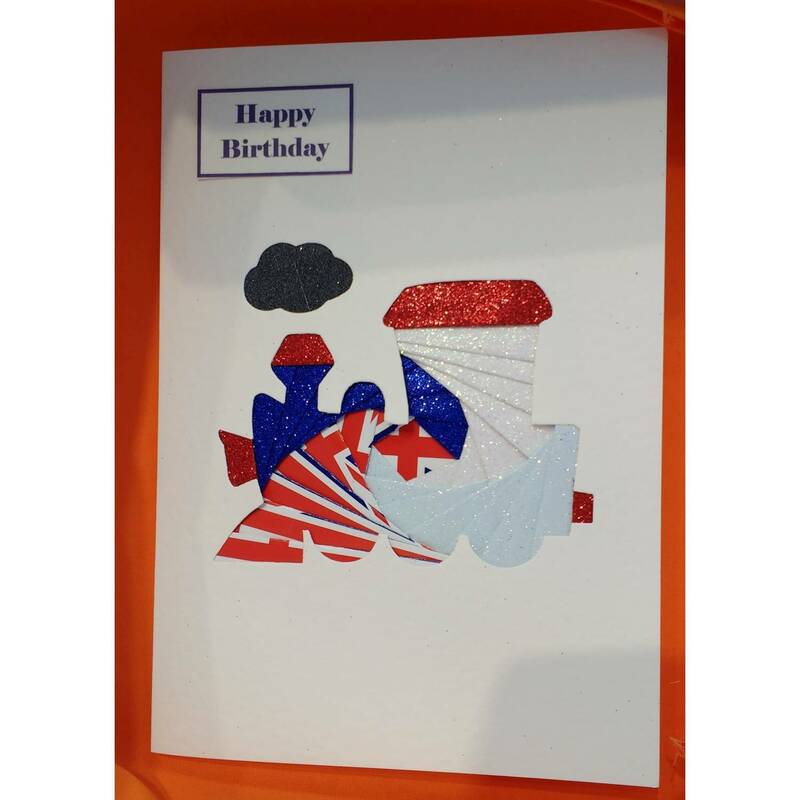 The shapes stitched on are Nestabilities dies, Rectangles and Squares. Background paper printed from Craftville, I think. 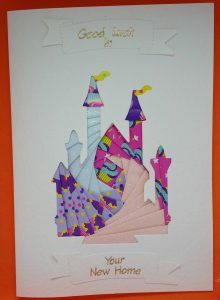 For this card I created my own pattern, with help from Rob. As it is a simple outline , it is easy to convert to dots and make a pattern for stitching. 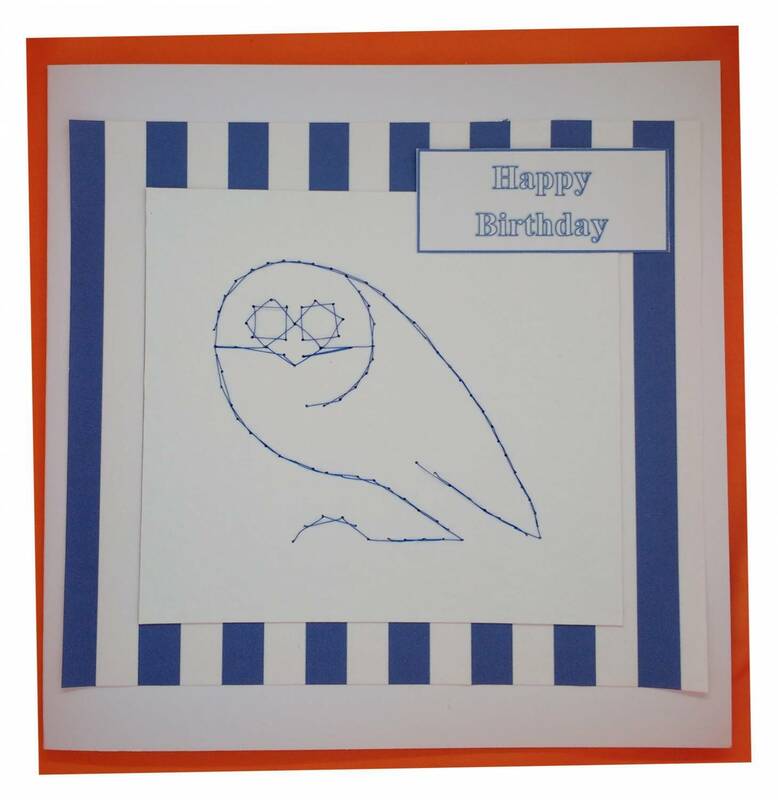 For those who don’t know it is Sheffield Wednesday’s owl logo, mounted on blue and white stripes as that is the colours they play in. 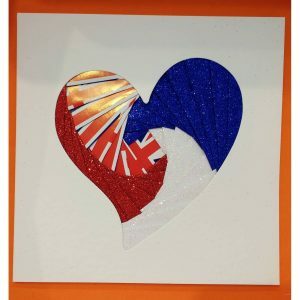 Perfect for any fan. 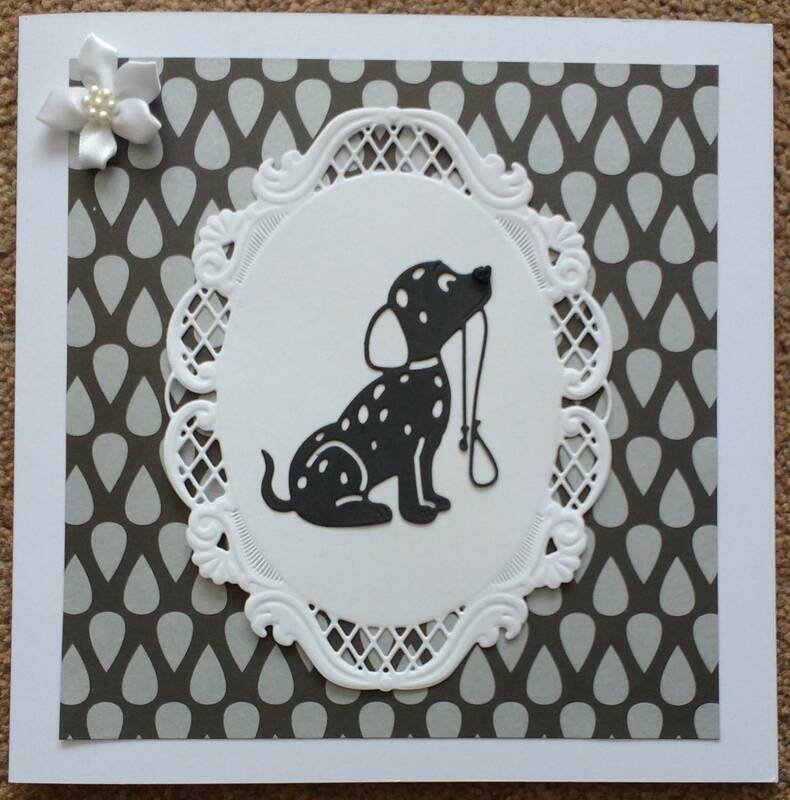 Another black and white card, I think they work well. This is a Broadroot Die, mounted on Marianne Oval die (which I bought pre cut) and backing paper I had in my stash. Used little gems for the bubbles. The die does cut little bubbles but they are so tiny and fiddly. 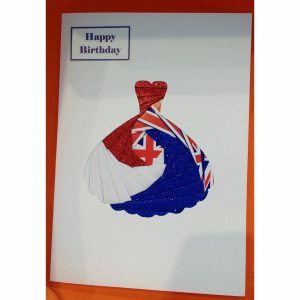 Another card made with a Sweet Dixie and mounted on leaf, embellished with little shaped buttons. 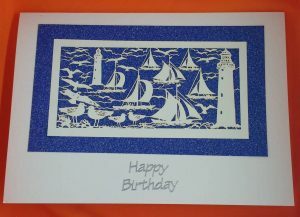 Finally a card made with a ready made papercut which I have had for a while. 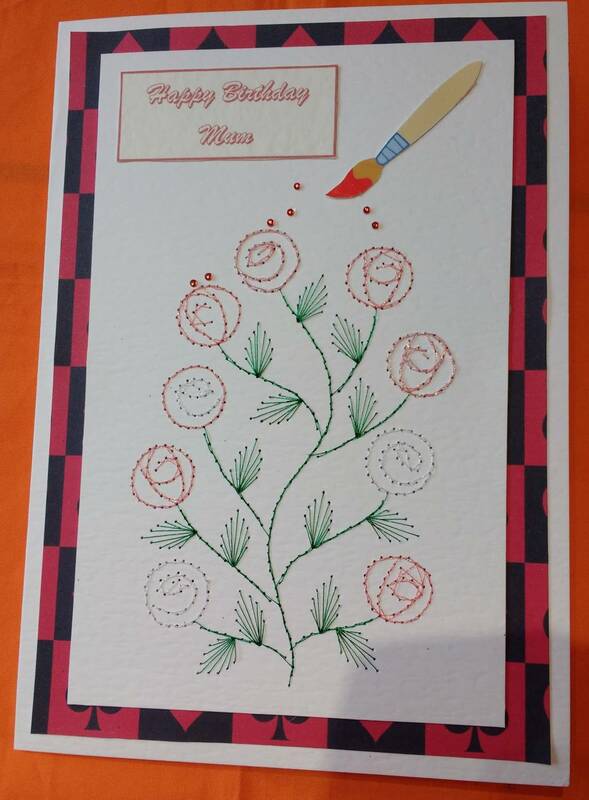 I have always thought it very pretty, but couldn’t decide how to use it. This is mounted on blue sparkly card and I think it works well. 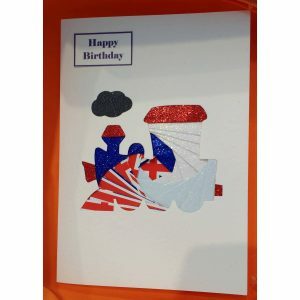 This week I added some more cards to my shop and hopefully more to come soon, it takes so much time and energy and I make so many mistakes along the way. 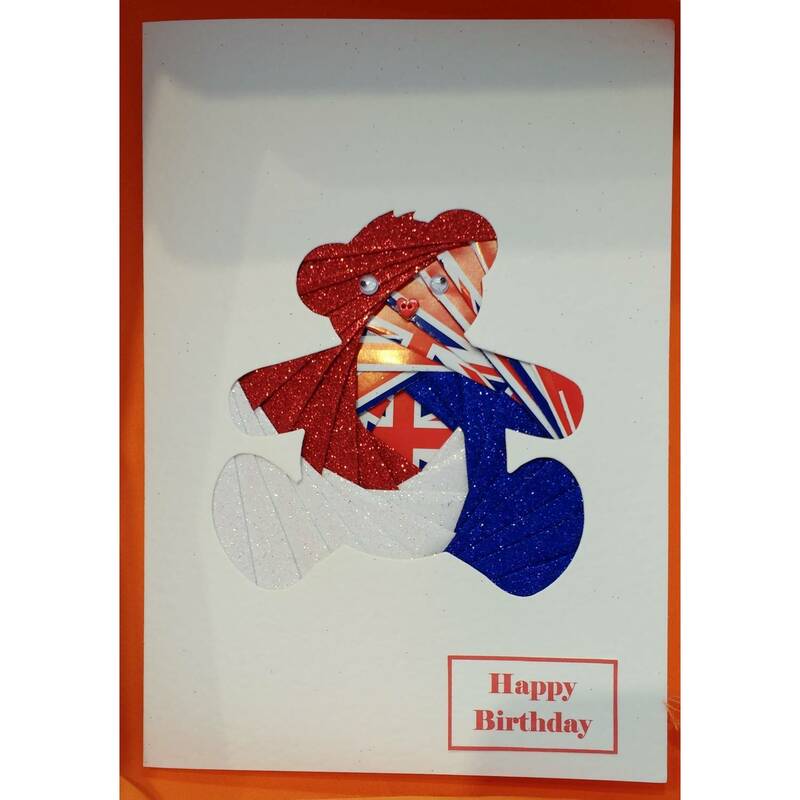 The most recent ones are royal wedding themed and on a special price. 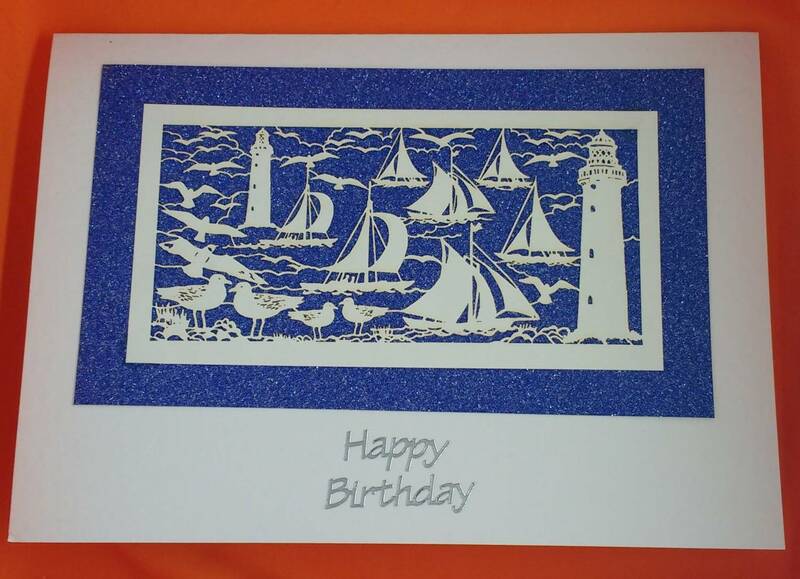 Sadly the images do not do them justice, they are very sparkly and much prettier than they look here. For a couple in their new home, they enjoy baking. 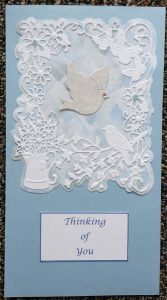 Made with Iris card template from Dee Crafts.